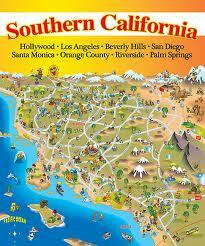 Welcome to Orange County Shutters Serving Southern California. Since it’s founding, Orange County Shutters has served Southern California proudly by supplying first class and sophisticated window Plantation shutters for any kind of celebration. Our target is simple; offer you the very best products and services in order to enrich your residence environment. Our lavish variety of socal window shutters. Regardless of the window’s size or shape, you could rest assured Orange County Shutters will have a customized window shutters solution ready for you. Call us today to schedule your free of cost in-home consultation. We’ll deliver you the highest quality and stylish custom window shutters in Southern California and bordering areas. Beautiful customized basswood shutters are Just the Beginning at Orange County Shutters, we bring you eye-catching Plantation shutters that are sure to thrill any type of guest but, much more significantly, we bring you an unrivaled degree of service. Below are some points you could expect with a basic phone call. A friendly Orange County Shutters Consultant will bring the custom wood shutters showroom to you. You can discover the exquisite shutters in Southern California by testing a wide range of products, colors and alternatives, all in the convenience of your home. Obtain expert assistance on what types of window coverings will suit your already existing décor. View our portfolio of jobs to discover exactly how different customized shutters can alter the lighting and mood of your spaces. All this at no expense to you! As soon as you select the window treatments that will certainly bring out the best in your house, we’ll take exact window measurements to make certain it’s an excellent fit. Our professional and well-mannered installation procedure will certainly come soon after. In the end, all you can do is sit back and appreciate the sight. Customized wood window shutters facilitated. That’s the Orange County Shutters way.